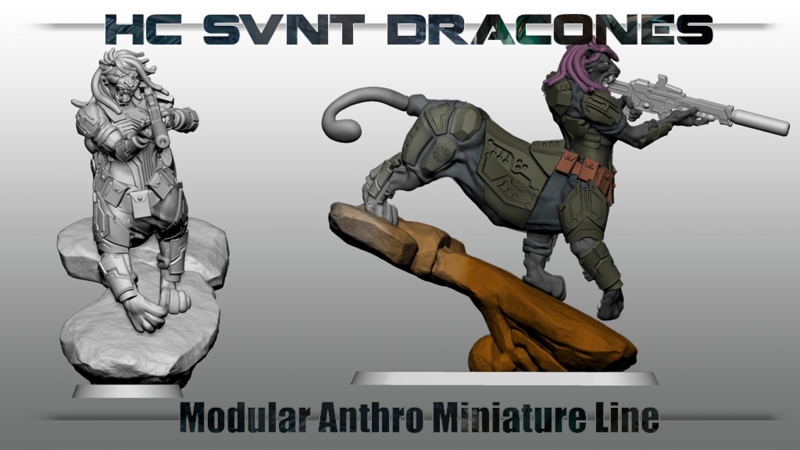 Weapons Grade Funk is running a Kickstarter campaign to create some sci-fi miniatures to go along with their Hc Svnt Dracones game. The game involves creating anthropomorphic characters that were originally experiments by humans in the far future, but they've since outlived those that created them. Since there's not really all that many figures for that sort of thing available, the folks at Weapons Grade Funk decided to make their own. These figures are also going to be at least somewhat modular. As opposed to a couple specific figures, they're working at making different heads and torsos that will work together to create your figure. That's not to say they don't have specific character figures as well, mind you. They have those, too. But you get a couple options for some of your models. You'll get the various options available on their website and then get a 3D printed version of the figure that you made. The Kickstarter campaign is up and running now. They're about 3/4 of the way to their goal with 17 days left to go.